The People’s P.I. - Black Ops Private Investigators Inc.
Ajaya Neale has a problem. Accused of shooting a rival gang member to death, Neale faces 25 years-to-life for a crime he says the Queens District Attorney’s office is falsely pinning on him. The incident occurred in 2014 at a baseball game in a busy park in Jamaica, Queens. Neale, 29, has maintained his innocence for more than three-and-a-half years. 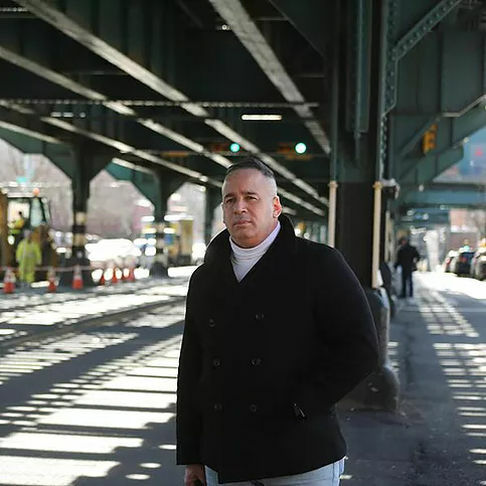 In October 2017, still awaiting trial and with few places left to turn, Neale’s family hired former NYPD cop-turned-renegade private investigator Manuel Gomez. “I heard about Gomez from watching TV, from the Pedro Hernandez case,” says Neale, referring to Gomez’s role in freeing a Bronx teenager who drew national attention after he was slapped with a $250,000 bail and forced to spend over a year locked up at Rikers Island on trumped-up charges of firing a gun into a crowd and injuring two people. In the Hernandez case, Gomez tracked down a victim, who claimed NYPD detectives had physically coerced him into naming Hernandez as the shooter. Other witnesses said Hernandez was innocent, and Gomez found the prosecution’s star witness — William Stevens — who confessed to Gomez and a local television station that he was beaten by detectives until he falsely identified Hernandez as the shooter. 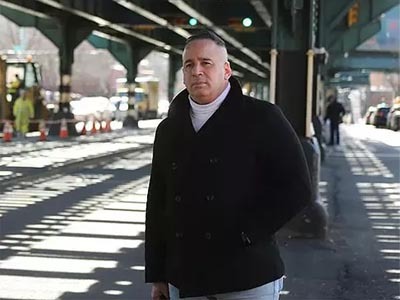 Stevens told WNBC Channel 4 he was systematically intimidated, abused and harassed by detectives to provide false testimony, with the knowledge of a Bronx assistant district attorney. This and other cases have launched Gomez into the limelight, including being profiled in a documentary film that was honored at the 2018 Sundance Film Festival. Ajaya Neale’s case is a typical assignment for Gomez. During the three-plus years he has been awaiting trial, the prosecution has declined to share key evidence like police reports, witness statements and 911 calls — because New York’s “blindfold law” (see page 14) allows them to withhold such evidence until the day before the trial. That’s where Gomez comes in. Within days of taking Neale as a client, Gomez began to unravel the case with the same aplomb that he attacked the Hernandez case. He tracked down the prosecution’s own star witness and others the prosecution had missed or ignored. “Someone made the mistake of including a photocopy of [the star witness’] business card,” Gomez told The Indypendent, referring to police documents he examined for the case. Armed with just this information, Gomez zoomed down to North Carolina in his white Mustang convertible. The next day, he returned with a video affidavit from the star witness that blew the case wide open. In the video, the witness, Erika King, accuses NYPD detectives of manipulating her statements and intimidating her. She says she picked out three suspects from a lineup, but the NYPD detective on the case only asked her to sign off on Neale’s photo. “I said in my statement that I was not 100 percent sure,” she said in the video collected by Gomez. King also accused detectives of coercing her into testifying. “If I did not testify, [they told me] a warrant for my arrest would be sent out … I feel like I’m being forced to testify,” she said in the video affidavit, which she later affirmed in a television news interview. Soon after returning from North Carolina, Gomez hit the streets and says he tracked down 17 Crips gang members from Jamaica, Queens, who had some knowledge of the murder. “I’ll sit down, I’ll eat with them,” he says,“things cops won’t do.” That lunch, he says, produced leads on Facebook messages from the day of the murder and new witnesses, including one who said that the killer was shorter and slimmer than the heavily built Neale. Gomez was in the Army during the first Iraq War in 1991 before entering the police academy and serving as a beat cop in the southeast Bronx and parts of Queens between 1999 and 2011. What he saw was disillusioning. Gomez says his investigations have led to charges being dismissed in 90 cases. As his fame grows, he encounters increasing numbers of strangers who recognize him on the spot. In Neale’s case, like most, Gomez has developed a personal rivalry, this time with the assistant district attorney on the case, Karen Ross. Gomez is quick to point out her role in a 2014 mistrial, where prosecutors failed to hand over a key ballistics report that cleared the defendants. “I wanted to look him in the eye,” Gomez later recounted. Though Gomez relishes head-to-head battles, he now wants to go from fighting one case at a time to tackling the injustices he sees in a systematic manner. He despises laws that give prosecutors legal immunity, that allow prosecutors to withhold discovery material from the defense until trial, and the general lack of public accountability in the criminal justice system. That’s where a new project of Gomez’s comes in. Gomez often concludes his stories with the assertion: “That’s why we need the Department of Civilian Justice.” He has devised model legislation for The Department of Civilian Justice with his friend and fellow former NYPD officer-turned-whistleblower, Frank Serpico — depicted by Al Pacino in the 1973 Hollywood classic Serpico. Serpico’s revelations of pervasive NYPD corruption made front-page headlines and led to the 1970 creation of the Commission to Investigate Alleged Police Corruption (known as the Knapp Commission). The department and its supporters say the investigations of that era forced it to fundamentally change its ways for the better. However, Gomez is quick to criticize the results of the Knapp Commission and can point to the persistent revelations of NYPD misconduct and recent media reports of the NYPD’s lax approach to disciplining hundreds of officers who committed fireable offenses. Under a draft of the Gomez-Serpico plan, the head of the DOCJ would be appointed by the City Council and serve, at most, for two four-year terms. The department would be staffed only with civilian investigators (no former cops, prosecutors, judges, etc.) and would have subpoena powers and the power to investigate, suspend and discipline anyone who works for the NYPD, the district attorney’s office or the city’s Department of Corrections who impedes a DOCJ investigation. Such an institution would break with the long-standing practice of internal accountability and end the siloing of each separate component of the criminal justice system. Gomez and Serpico are not the first to propose civilian oversight of law enforcement. An independent civilian review board was torpedoed by the police union in 1966 and again in 1992. Many special commissions have been formed to study the issue dating back to the 1890s, but all it has yielded is today’s Civilian Complaint Review Board, whose verdicts are subject to review by the police commissioner himself. After things settle down outside the Queens courthouse following Neale’s hearing — which ended in yet another adjournment — Gomez and I retired to a nearby deli where one witness in the Neale case found us after being questioned by prosecutors. Upon finishing our bagels, we hop in Gomez’s other car — a white Hummer — and head to Manhattan, where he has a meeting scheduled with the New York City Department of Investigation, the ethics watchdog for all city agencies and employees. At the meeting, Gomez details some of his cases and pitches the DOCJ. He is also asking Brooklyn City Councilmember Jumaane Williams to hold a hearing on his proposal. Robert Gangi, director of the Police Reform Organizing Project, says the Serpico-Gomez proposal is “on point and addresses a very serious problem, which is essentially how our law enforcement apparatus, particularly in the form of the NYPD and district attorney’s offices, operate with virtually unchecked power.” But Gangi says it would require a sea change in city politics for something like the DOCJ to pass. “No mainstream political politicians have any kind of record that shows they are prepared to curtail the power of DAs or police departments,” says Gangi. Gomez knows you can’t just institute full-scale criminal justice reform at the drop of a hat. “When the screams for change are equal to the amount of injustice, that is when we will get social change,” he says. While Gomez dreams of sweeping reform to the system, he continues to fight it out one case at a time with dirty cops and DA’s offices. For this his clients are grateful. His case is still pending before the Queens County Criminal Court. https://www.blackopsprivateinvestigators.com/wp-content/uploads/2018/09/img7.jpg 300 400 admin https://www.blackopsprivateinvestigators.com/wp-content/uploads/2018/12/logo-new-1.jpg admin2018-09-26 06:57:042018-10-16 11:30:26The People’s P.I.